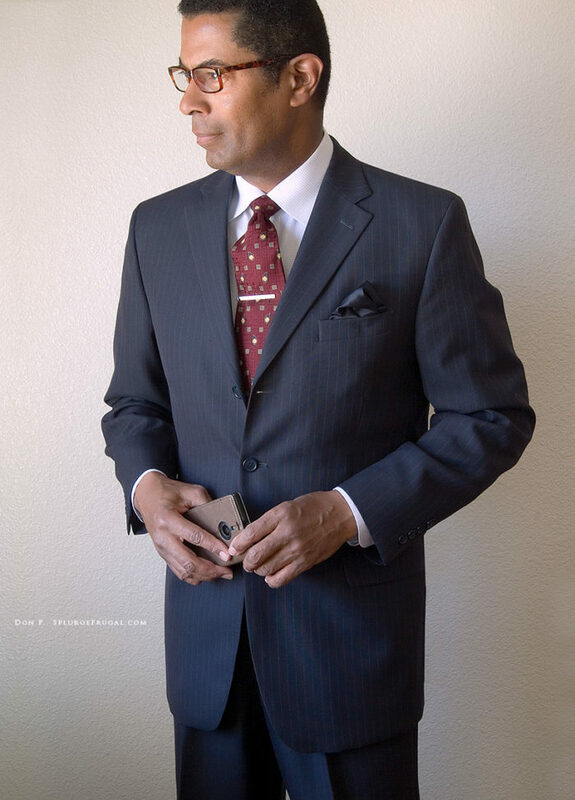 Nearly all of the posts I have written to date on the topic of thrift shopping focus on tailored clothing such as suits and sportcoats. 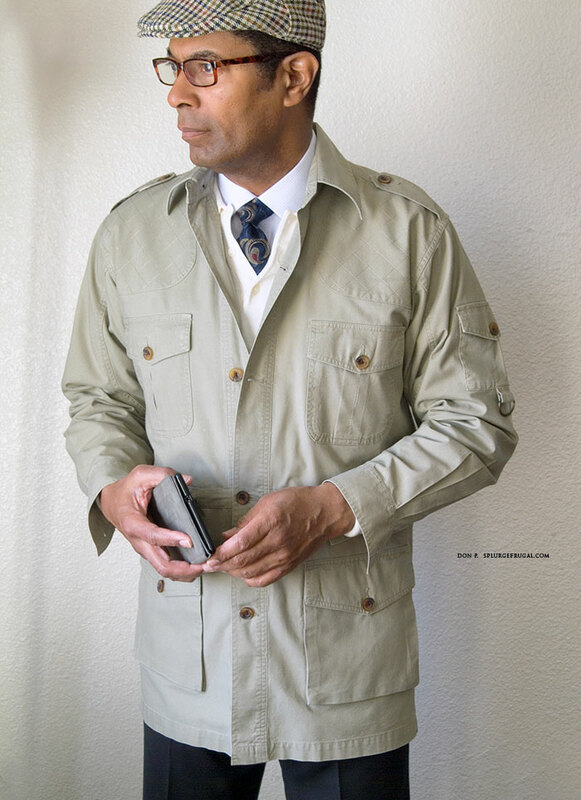 However, man does not live by tailored clothing alone! Here are my top thrift shopping tips for casual men’s clothing. 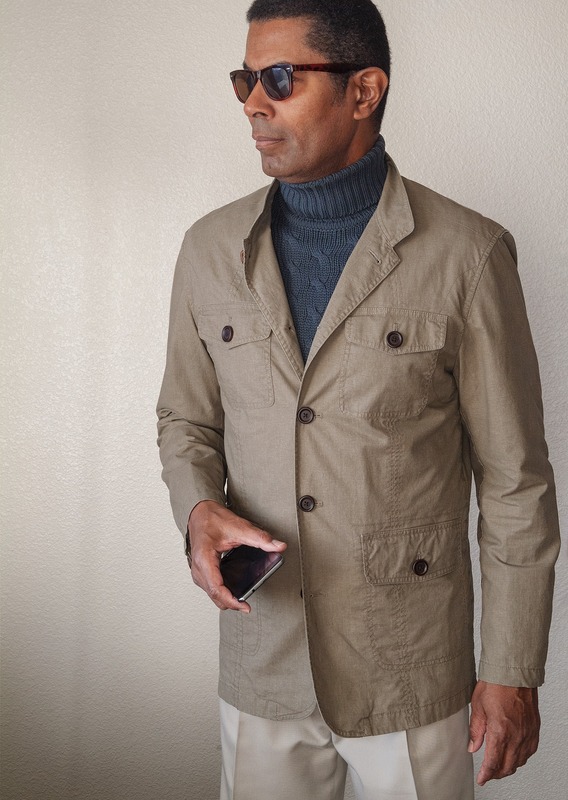 The outfit featured at the top of this page (safari jacket, sweater, shirt, tie and slacks) cost a total of $23.00. All items were purchased second-hand. I will show you where and how to get amazing buys like this on everything from jeans and casual shirts to sweaters and coats. 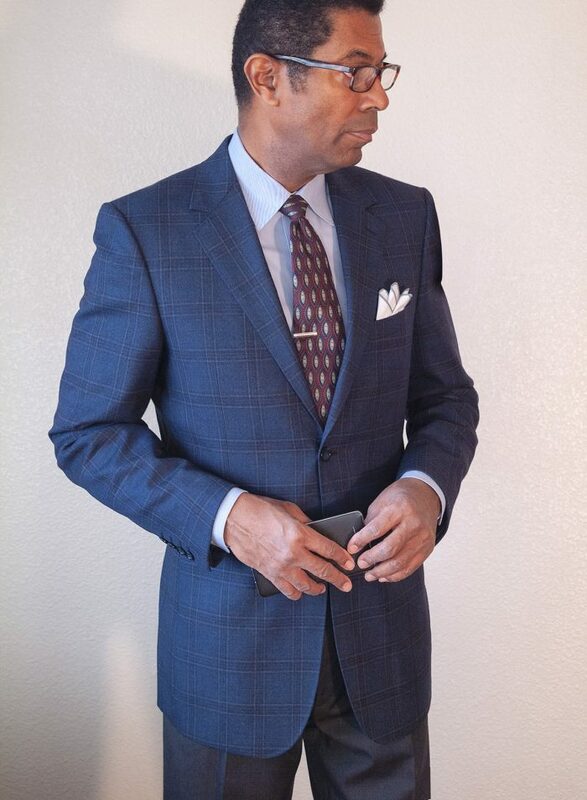 Generally, I recommend shopping online when seeking men’s suits and sportcoats (eBay.com, Poshmark.com, etc.,) as you will find a much wider selection than is available at any local thrift shop. 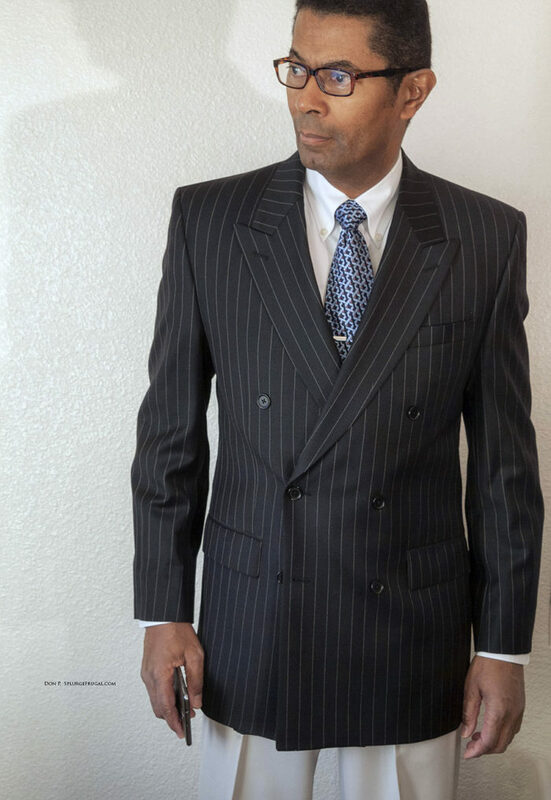 You pay more for second-hand suits when shopping online but you’re much more likely to find exactly what you’re looking for. However, I recommend the opposite when it comes to shopping for second-hand casual clothing for men. You will find a wide selection of casual clothing at much better prices at your local thrift shops. Local thrift shops have an unbeatable advantage over online vendors; No shipping costs. Generally, you will pay a minimum of $6.00 to have a single garment purchased online shipped to you. That same $6.00 can be used to purchase one or two additional garments when shopping for casual clothing at a local thrift store. Your money goes much farther. 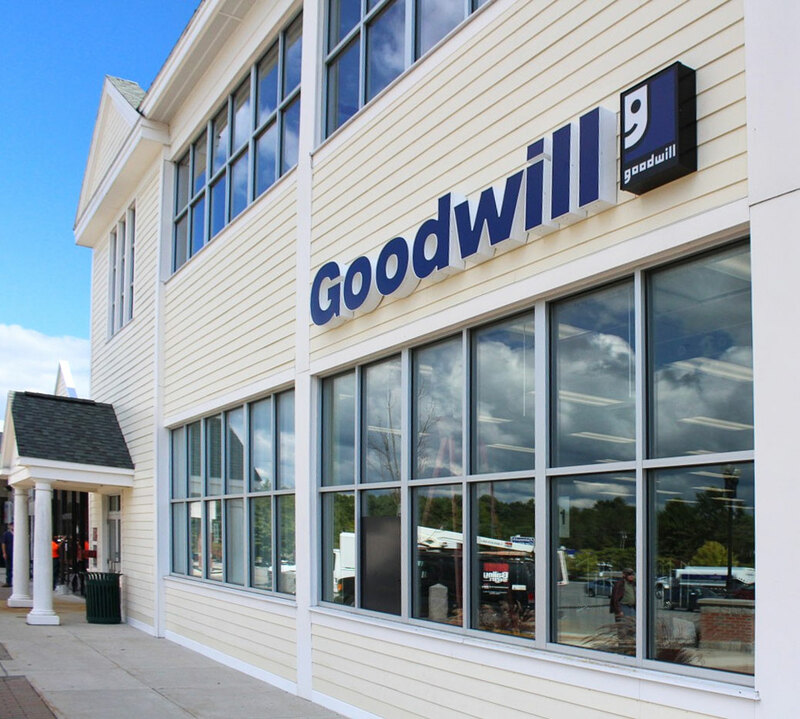 Larger thrift store chains such as Goodwill and Savers are great places to shop for gently used jeans, khakis, knit shirts and more. They have a large inventory and generally organize their garments by size and color. They are great places to stock up on common brands of casual men’s clothing. Also, there are lots of smaller thrift shops run by local charities and hospitals that are worth checking out as well. If you are seeking better-quality casual clothing, seek out local thrift shops located in more affluent neighborhoods. So often, local thrift shops reflect the lifestyles of the neighborhoods they are located in. For example, you may find lots of printed t-shirts and jeans in a thrift shop located in a lower-income neighborhood. However, thrift shops located in a higher-income area may have a better selection of luxury brand second-hand clothing. Generally, if you want the best selection of the most desirable clothing when thrift shopping you need to be first in line. You need to be there at the beginning of the selling season when inventory is fresh. Also, you need to be there on the days when they restock the inventory on the sales floor. Personally, I hate to go to a thrift shop after everything has been picked over. If you ask nicely, you can find out when the menswear section is restocked for the season or for the week. If you see something you really like, buy it now. Don’t wait. If you wait for the price to drop, that item may be long gone before that happens. In exchange for the enormous savings that come with thrift shopping, more time must be invested. You may need to visit thrift shops more than once to find clothing that fits your tastes and needs. As you gain experience thrift shopping, you become more efficient and skillful at finding what you want when you want it. Generally, every thrift shop has one day a week reserved for big discounts on clothing. Or, you may qualify for a customer discount (senior discounts, discounts for veterans, etc.,). Be sure to ask. Those discounts and sales can often mean a savings of 15-50% or more. Also, there are seasonal sales days when big discounts are offered. If the thrift shop has a Facebook page, Twitter or Instagram account be sure to subscribe to get notifications of upcoming sales. Know What You are Buying & Inspect Your Clothing! 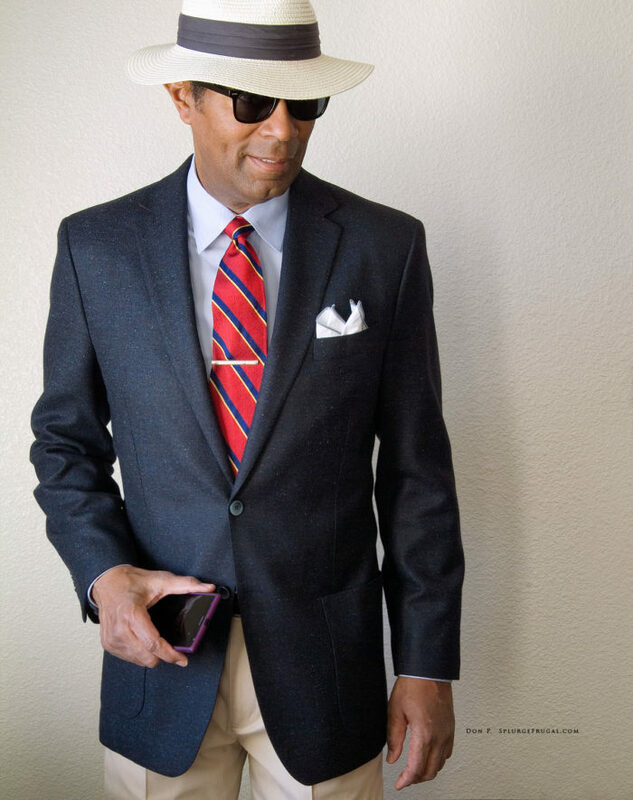 All brands of men’s clothing are not created equal. Try to buy the best quality you can when thrift shopping. Thoroughly inspect the garments. It is very easy to wind up with garments that have hidden damage. Check for missing buttons, broken zippers, stains, tears and fraying before purchasing. 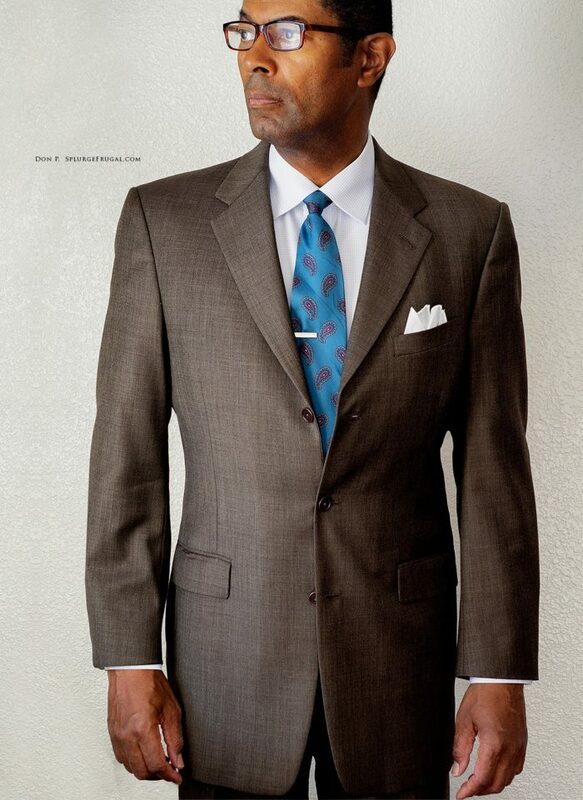 Slim Fit Suits, How to Keep It Classy!